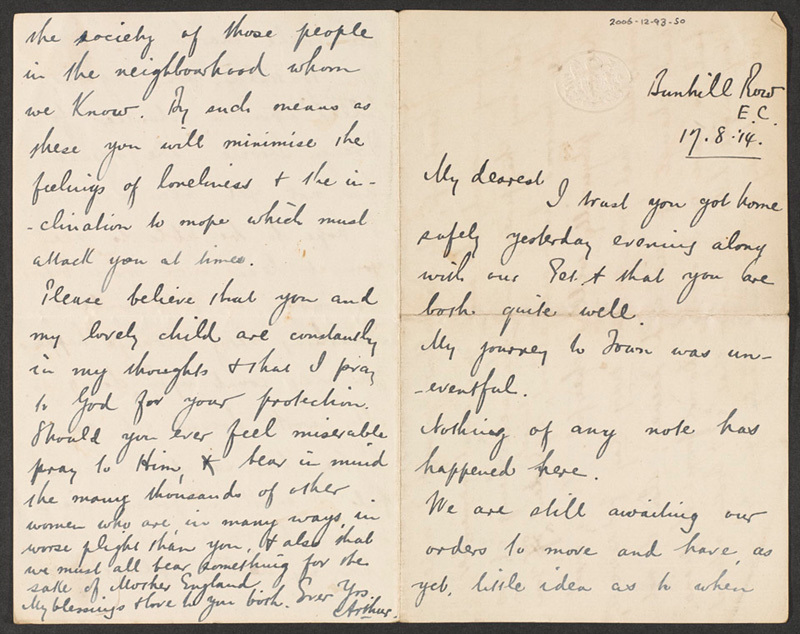 Letters written by Regimental Sergeant Major Arthur Harrington of 5th (City of London) Battalion, The London Regiment (London Rifle Brigade) reveal the excitement, uncertainty and fear felt by soldiers following the outbreak of war. Britain went to war in 1914 with a small, professional army that was primarily designed to police its overseas Empire. 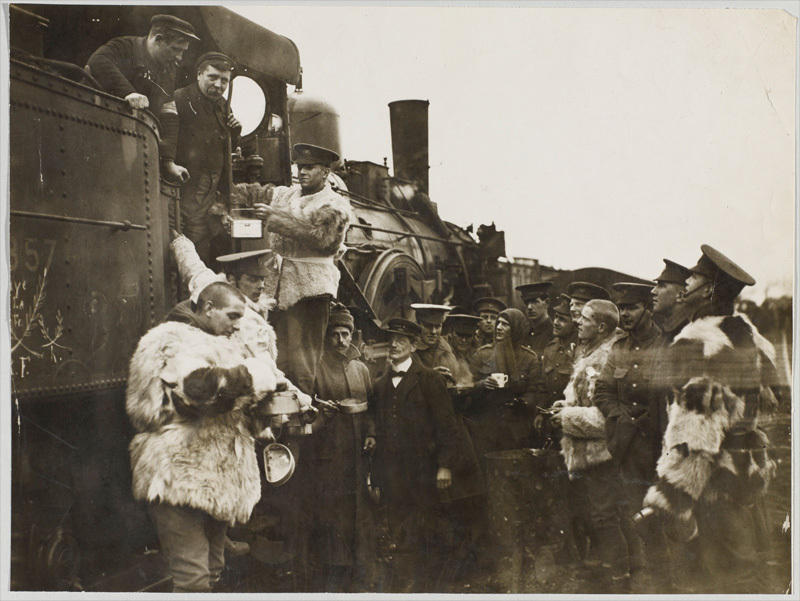 The entire force consisted of just over 250,000 Regulars, which, together with 250,000 Territorials and 200,000 Reservists, made a total of about 700,000 trained soldiers. This was tiny when compared to the mass conscript armies of Germany, France and Russia. Although small, the Regular Army of 1914 had learned from the harsh lessons of the Boer War (1899-1902). Reforms in training had been introduced which meant that, man-for-man, the soldiers of the British Expeditionary Force (BEF) were among the best in Europe. Each Regular Army regiment and corps had locally recruited Territorial Force (TF) units attached to it. Men trained during the evening, at weekends and at summer camp. In the event of war they could be called upon for full-time service. Territorials were not obliged to serve overseas, but when asked in August 1914, the vast majority agreed to do so. There was also the Special Reserve (SR), whose men enlisted for six years and could be called up in the event of general mobilisation. Their period as a Special Reservist started with six months full-time training, followed thereafter by four weeks training per year. There were over 100 Reserve battalions in August 1914. They went on to provide reinforcement drafts for the active service battalions on the Continent. While many expected the war to be ‘over by Christmas’, the Secretary of State for War, Field Marshal Lord Kitchener, realised the conflict would be long and on an unprecedented scale. Britain would have to create a mass army for the first time. 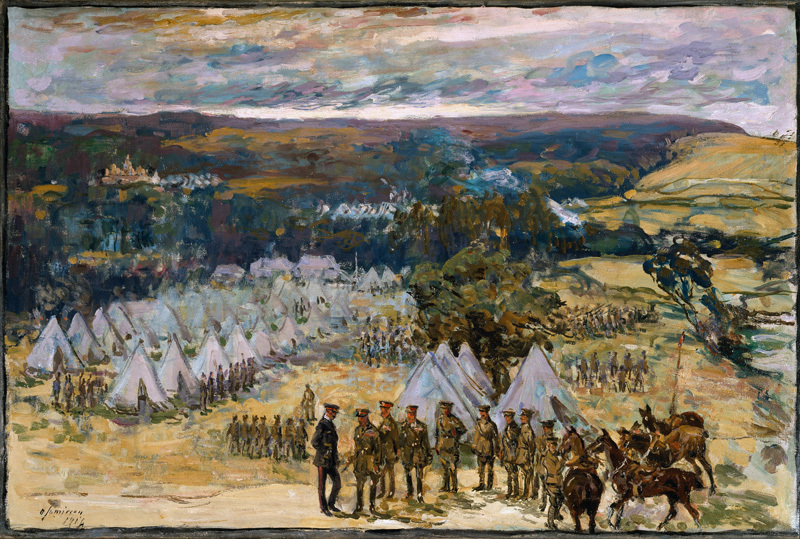 He therefore appealed for volunteers for his ‘New Armies’ in August 1914. These volunteers enlisted ‘for the duration of the war’. They had a choice over which unit they joined, but had to meet the same age and physical criteria as the Regulars. Men who had previously served in the Army were accepted up to the age of 45. Despite the regulations, many underage and overage men enlisted. Often they joined ‘Pals’ battalions, organised on a local basis. The advantage of this was that the new battalions came with existing ties, which the Army could develop. The disadvantage was that if a unit suffered heavy casualties it could have a devastating effect upon a community. The thousands of eager volunteers who flocked to the Colours on the outbreak of war were completely untrained. They spent their first months in the Army learning the basics of soldiering. Drill, skill-at-arms and manoeuvres were learnt at huge camps situated all over the country. The ‘New Armies’ would face their baptism of fire in the battles of 1915-16. Until then, the Regulars, supported by the TF and SR, would take the leading role. Among their number was Regimental Sergeant Major Arthur Harrington of 5th (City of London) Battalion, The London Regiment (London Rifle Brigade). 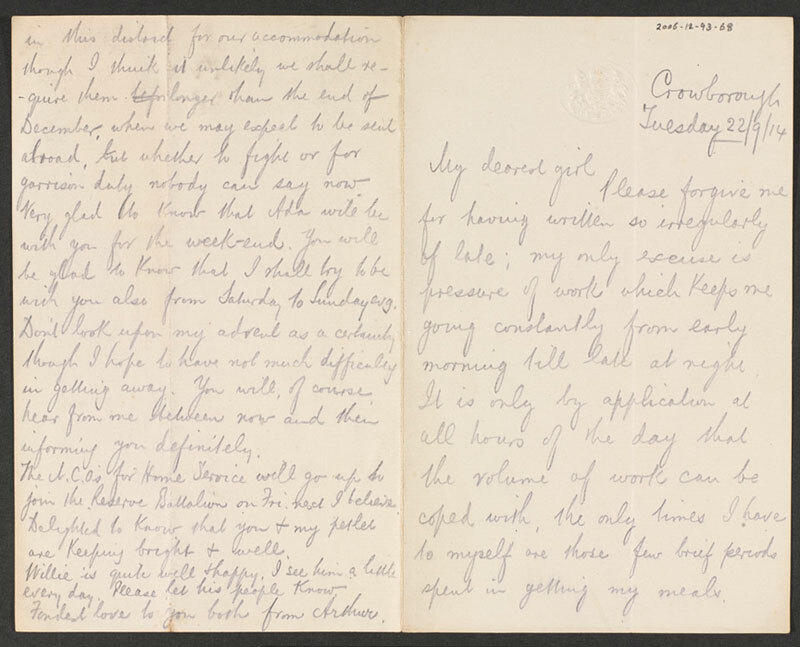 The letters he wrote to his wife during this period give us an insight into the excitement, uncertainty and fear felt by soldiers following the outbreak of war. 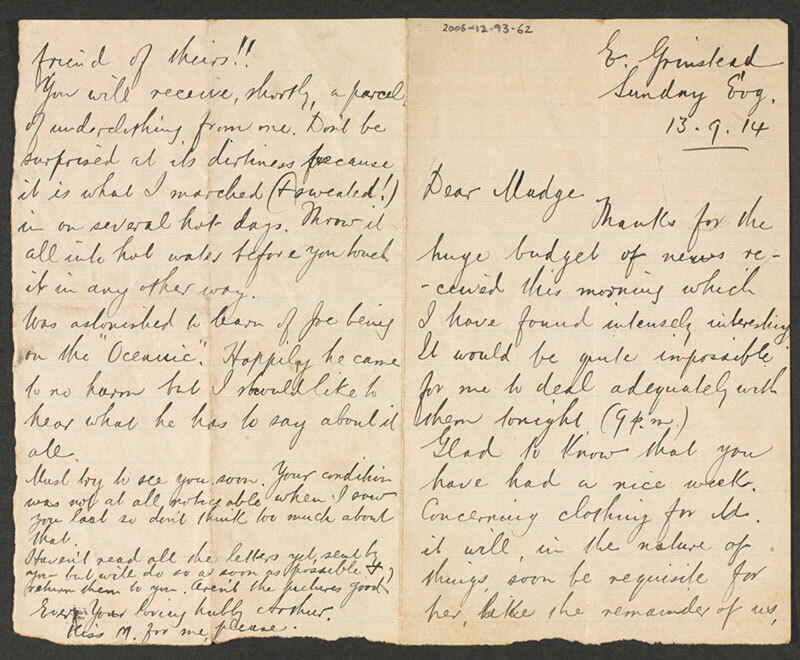 Several of his letters dwell on financial concerns, such as when his wife would receive her separation allowance. This was a portion of a soldier’s pay which was matched by the government and sent to his dependents to make sure they were not left destitute. 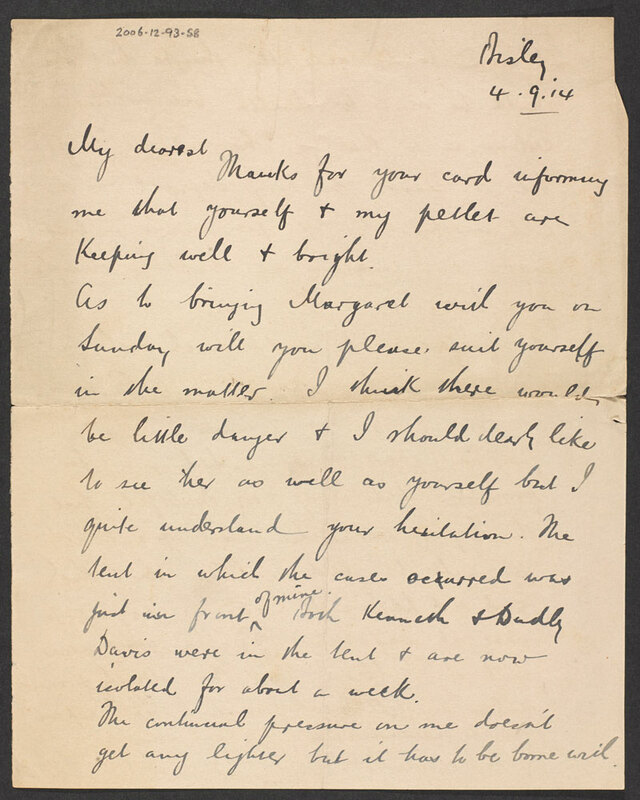 Other letters reveal how their extended family had offered to assist them in Arthur’s absence. He believed that the unit would be sent abroad in December, ‘but whether to fight or for garrison duty nobody can say now’. 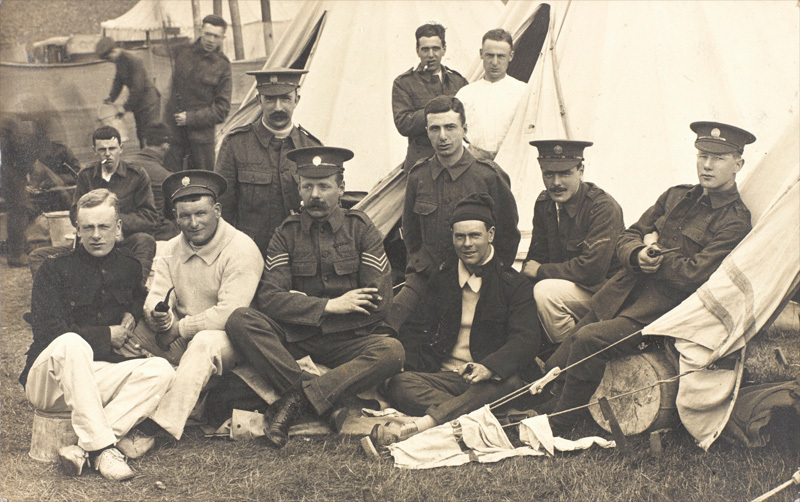 Although the tented accommodation was basic and the training regimes at Bisley and Crowborough hard, Harrington thought the food ration ‘quite a liberal one consisting of bread, meat, cheese, bacon, jam, tea, sugar’. More importantly, his men were ‘in fine spirit and are in general very bright and happy’. 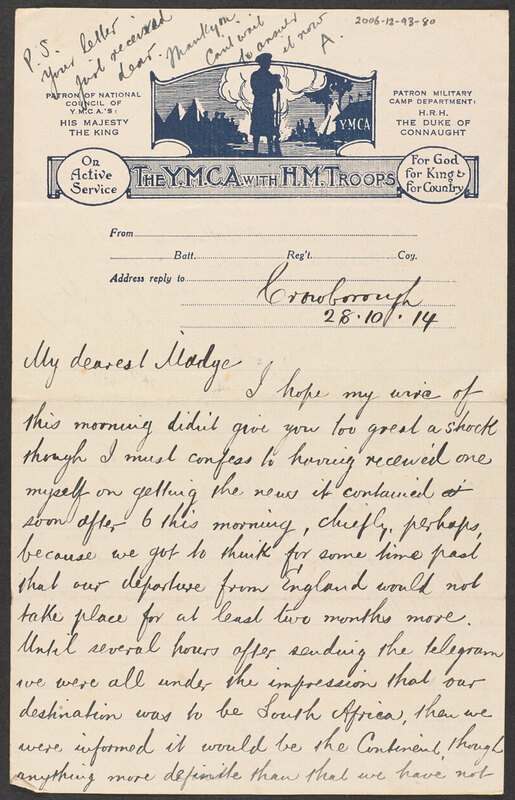 In late October Harrington wrote to his wife with news of their imminent departure abroad. Arthur’s unit eventually landed at Le Havre in France on 17 November 1914 and went into the line with 11th Brigade of 4th Division. They were used as reinforcements for the hard-pressed BEF, so Arthur was wrong in his belief that the Territorials would not see action. 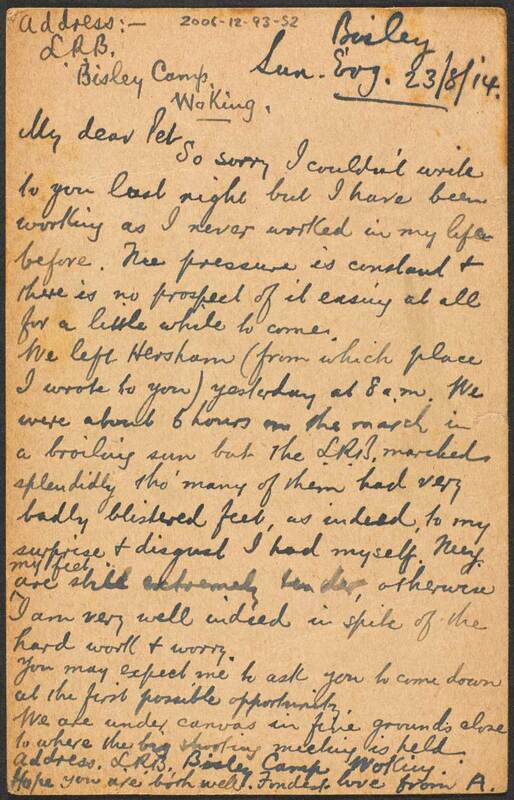 Another of his letters, sent prior to his departure, reveals that his wife was pregnant with their second child. This daughter, named Joan, was born on 15 April 1915. Unfortunately, Arthur never got to see her. He was killed on 28 April by a shell blast while having his breakfast in a farmhouse at St Jean during the Second Battle of Ypres (22 April – 25 May 1915). Arthur George Harrington (1869-1915) was born in St Thomas Parish Winchester, the son of John William Harrington and his wife Ellen. His father was a soldier and Arthur and his five brothers grew up at several military establishments including Anglesea Barracks at Portsea. Following in his father’s footsteps, he joined 1st Battalion The Lincoln Regiment on 22 November 1892, but transferred to 3rd Battalion The King’s Royal Rifle Corps (KRRC) on 10 October 1894 to serve with his elder brother. Harrington served in Egypt and India and by March 1898 had been promoted to sergeant. He then fought in the Boer War (1899-1902) where he was awarded the Distinguished Conduct Medal (DCM). He was made a colour sergeant in November 1903. After many years of Regular service, Harrington was eventually posted to the 9th Volunteer Battalion of the KRRC (later re-named 5th Battalion The London Regiment), where he became responsible for training its Territorial soldiers. 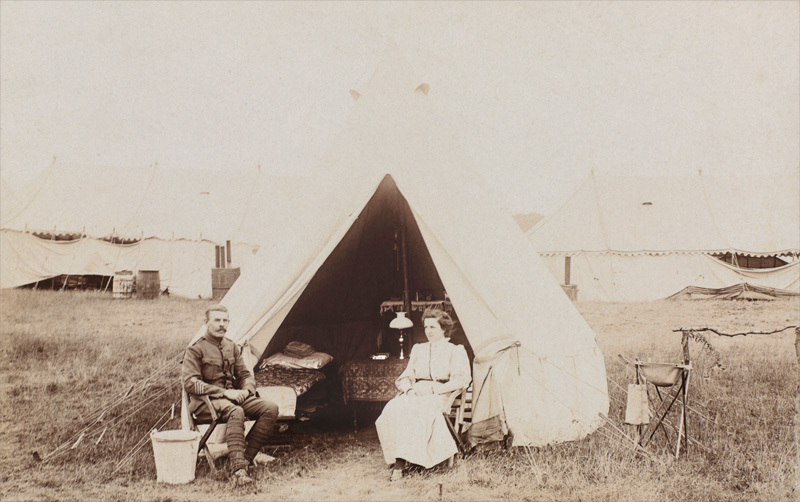 By 1914 he and his wife Florence Margaret were living with their daughter Margaret at 47 Westbury Road, Bowes Park in London and he had reached the rank of regimental sergeant-major. Harrington’s body was never recovered, but his name was later listed on the Menin Gate Memorial at Ypres.